John Carlson has appeared on NBC's Late Night with Conan O'Brien over a dozen times and he has recently performed at the White House in Washington, D.C., On TV;s Housewives of NYC, Japans Zoominas TV. PNC Bank flies him around the country for all of their Grand Openings. WATCH THE ONLINE VIDEO and you will know why he is the most sought after family entertainer for ages 2-92! Here are just a few celebrities that have chosen John to perform for their kids parties and private events; Jimmy Smits(NYPD Blue), Norman Reedus(The Walking Dead), Super Model Helena Christiansen, Tucker Carlson(MSNBC), Natalie Morales (NBC's Today Show), Buddy Valastro (The Cake Boss) and many more! 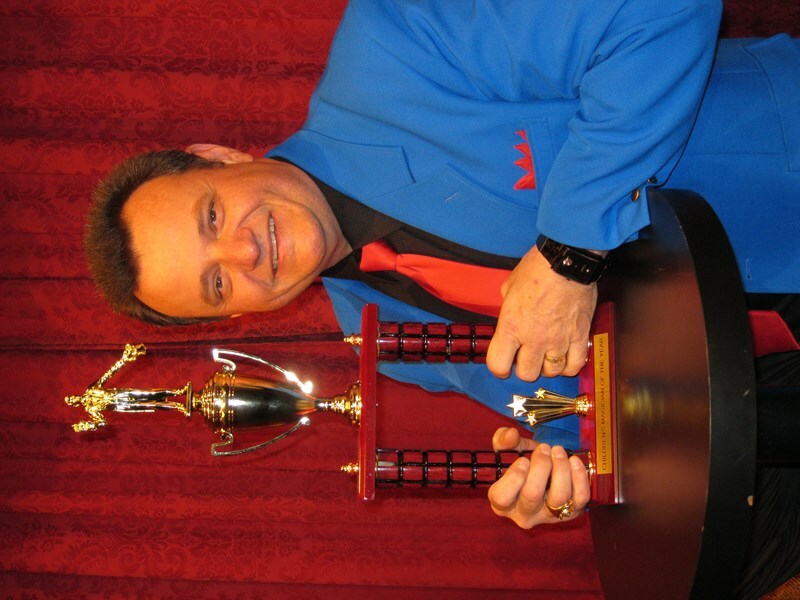 John Carlson will make your next event a smashing success by providing your guests with fun and laughs that will make your special time unforgettable! John books up quickly so it is best to call him ASDAP. 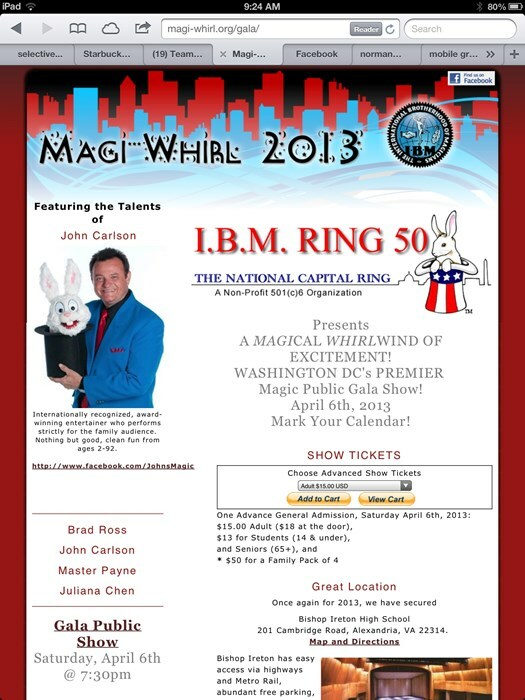 If he is booked he can also send Mr. Magic who also does the same show and was personally trained by John Carlson. Don't wait, call NOW and get "America's Funniest Family Entertainer" at your next special event! All I can say is WOW. We got a LOT more than we expected. He put on a great family show for the kids and the adults. He knew how to keep the kids sitting on the edge of their seats and he had the adults cracking up and amazed at the same time. All my guests were asking "Where did you get this guy?" My brother Inlaw hired him on the spot for his upcoming company Holiday party. We can't wait to see John again! John was perfect for our group of children and adults!! Super friendly and accommodating for our party. He kept everyone engaged and entertained. We had about 20 children and 30 adults at a birthday party and all the kids were talking about the show when they were leaving with their parents. I can highly recommend John for any event for both young and old. Very witty and on top of his game when entertaining ensuring all become engaged. Thanks John! John Carlson was amazing, not only did he have all the kids attention but he also had the attention of the adults that where there. He was so good that the people who was throwing a party next to ours was even focus on him. I would recommend him to anyone whho's looking to get there moneys worth out of a magician he's worth every penny and more!!! It was a great show! My family and friends really enjoyed it! Awesome Entertainment. John puts on a great show. Highly recommended! Please note John Carlson will also travel to Minneola, Groveland, Montverde, Ferndale, Killarney, Mascotte, Oakland, Howey In The Hills, Astatula, Winter Garden, Yalaha, Center Hill, Ocoee, Gotha, Okahumpka, Windermere, Plymouth, Tangerine, Zellwood, Clarcona, Leesburg, Orlando, Tavares, Apopka, Kissimmee, Mount Dora, Eustis, Bushnell, Sumterville, Webster.